Strawberry Chic: I would love to see this! I was browsing Pintrest today and this intriguing photo caught my eye. I've been watching a lot of the Disney movie Tangled lately (one of my little man's new favorite movies) and was pleasantly surprised to find that the floating lantern tradition is not just a fantasy. 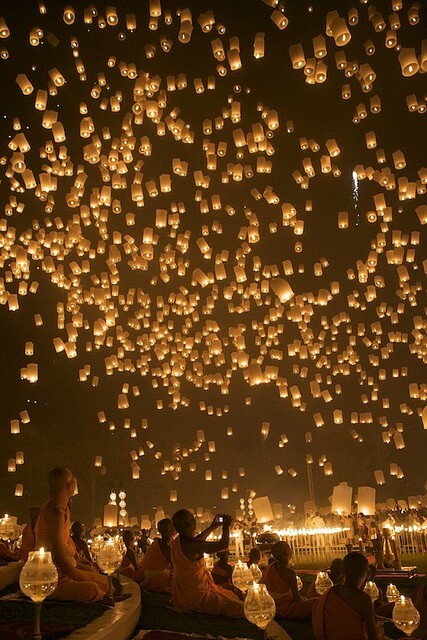 This festival just made my bucket list, hopefully someday I can make it to Chiang Mai, Thailand to see it!